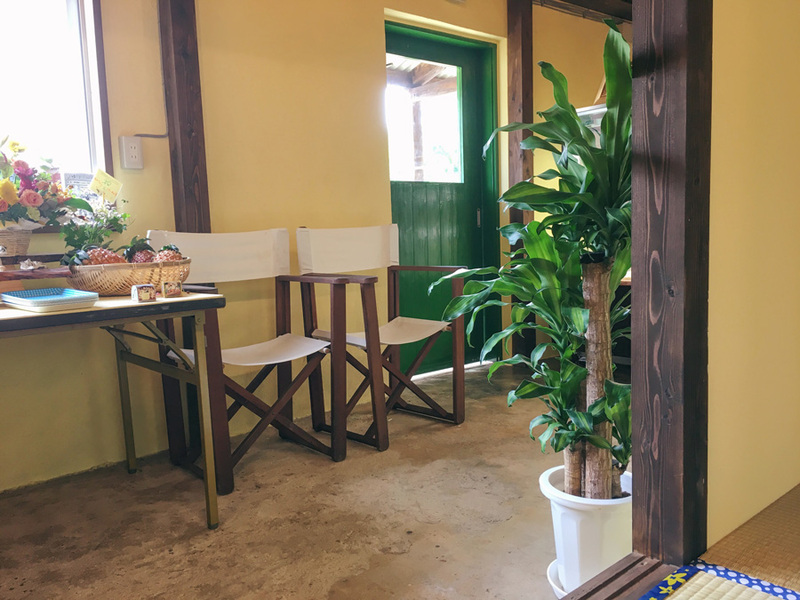 We had fun last week to find locations to visit in Ishigaki island. Good quality food, drinks, service and atmosphere is for us important. Unique places. 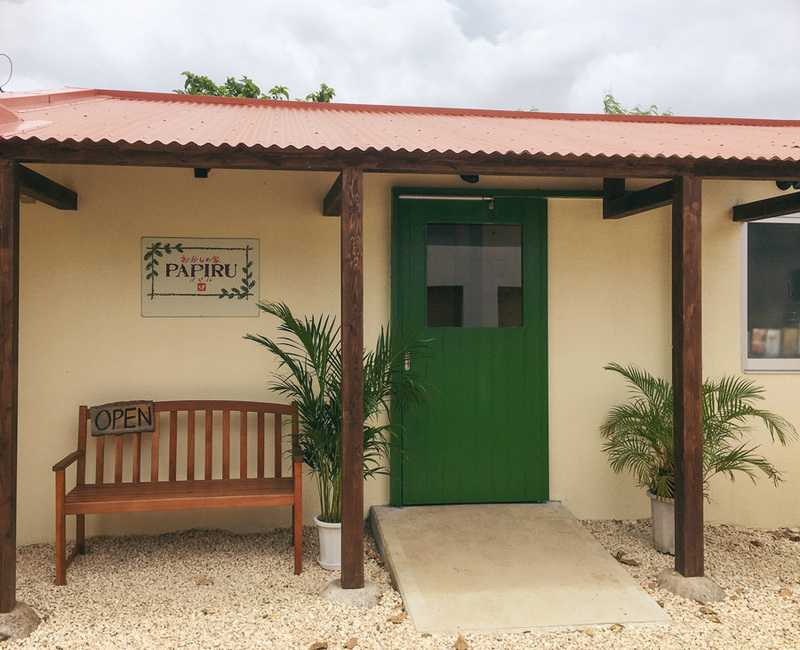 For the last day of our 7 days, 7 cafes we visited the newly opened Papiru cake shop & cafe. 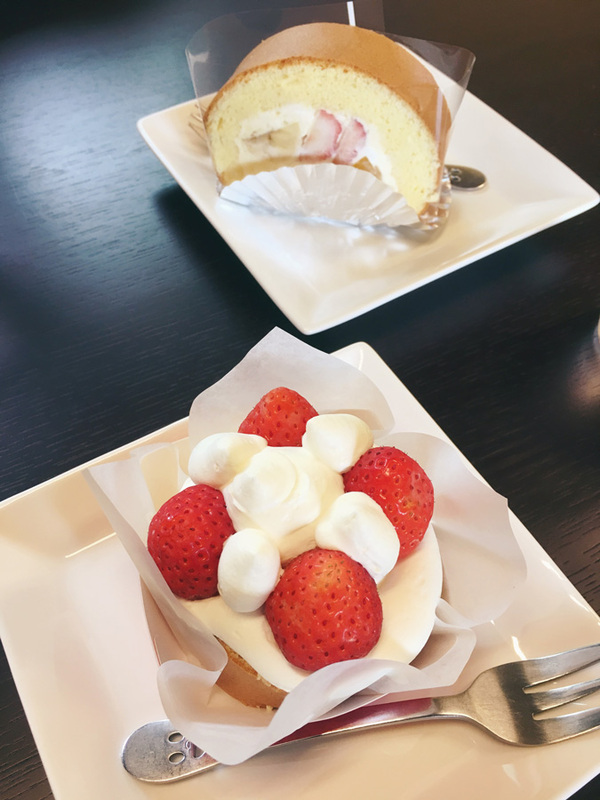 This patisserie is located in Shiraho, a lovely old area of Ishigaki. It has moved and their name sign can be seen from the road, but it’s easy to pass. 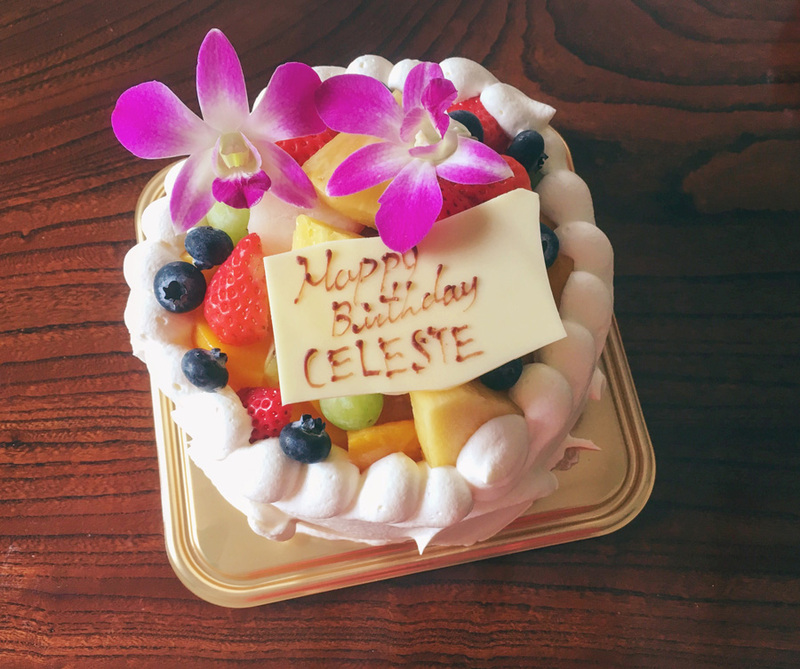 For locals Papiru is the shop to buy celebration cakes. Like this one for example. Papiru is my personal recommendation for a party celebration cake. The chocolate variation or cake roll is delicious as well. We chose the strawberry cake and fruit roll. 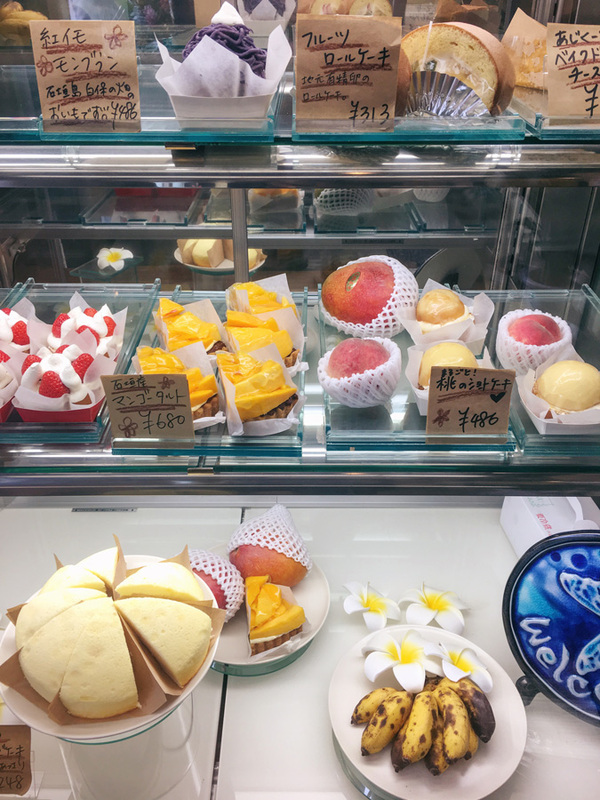 Ingredients here are all local except butter, which isn’t made in Ishigaki. Milk from Ishigaki, eggs from Shiraho farm, brown sugar from Hateruma and local fruits. On the menu: coffee, tea (hot or cold) and a smoothy. 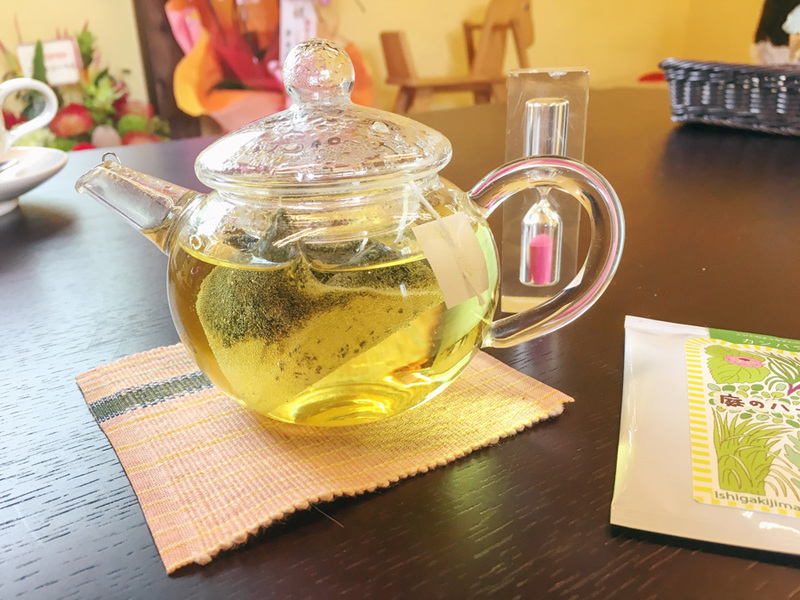 The herb tea is from Shiraho as well. A designer from Shiraho created the tea package design. Shiraho is a lovely area near Ishigaki city, a must see when you stay here. Walk or bike around Shiraho area, enjoy the local atmosphere, maybe visit the Shiraho Sunday market and have a tea or coffee at Papiru. Another plan could be to watch the sunrise at Shiraho beach and have your morning tea here. Another cafe in this area is Shiraho Cafe.